Rick Vogel, VP at Marcone Supply, represents the company in a collaborative effort with God's Pit Crew to help families devastated by tornadoes. 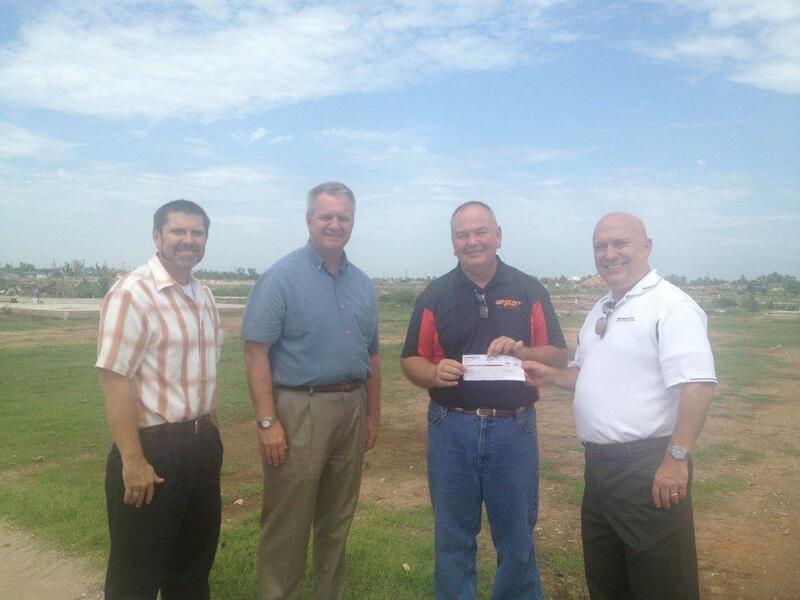 Marcone VP Rick Vogel presents $35,000 check to help disaster relief team God's Pit Crew rebuild Moore, OK. 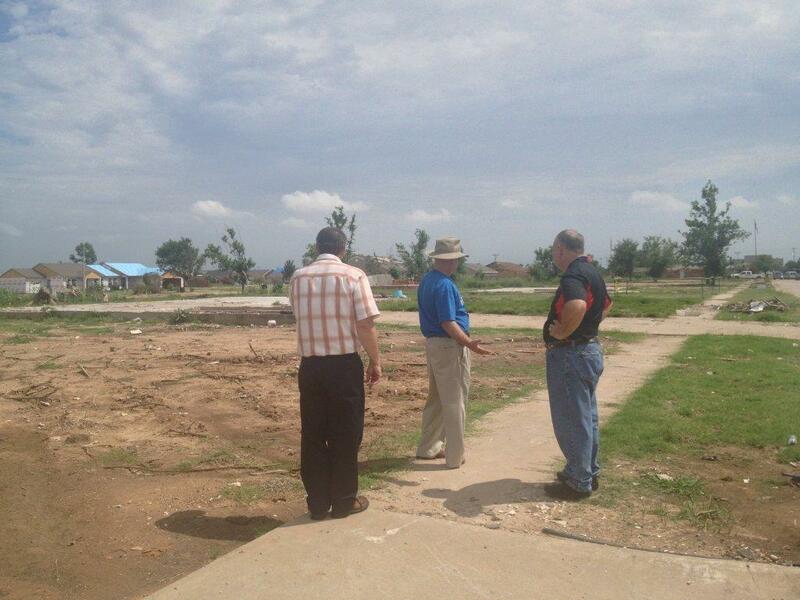 Volunteers survey devastated area to plan new home building for Moore residents. Their community was destroyed and their own lives almost wrecked…and then God’s Pit Crew, with the help of Marcone and many other contributors, stepped in to help them rebuild. After tornadoes leveled parts of the Oklahoma City and Moore areas in May, crisis-response team God’s Pit Crew rallied support and resources to build brand-new, fully-stocked homes for two families who lost everything. When Marcone learned about the project, we swung into action to help. Read more on our blog, and while you're there, meet the Linger and Rogers families to hear their stories in a touching recap video.